Coldstore and processing plant are located in Slavonski Brod, eastern part of Croatia - region Slavonia. 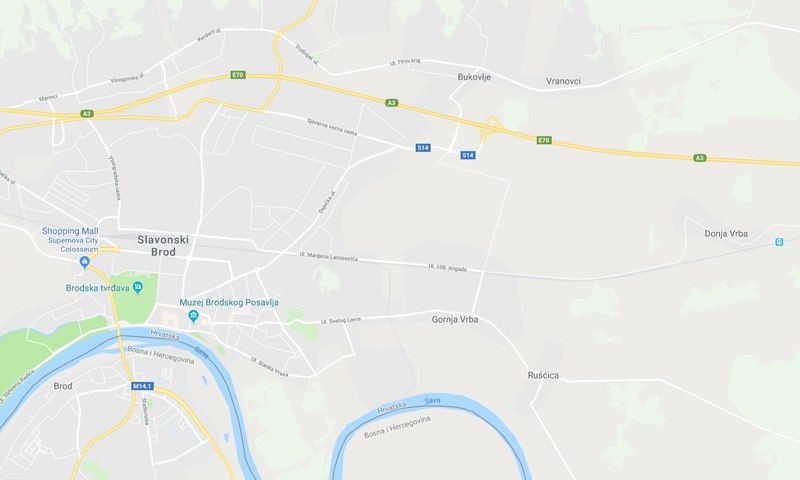 Location is easiest to describe as center of highways connecting for capitals - Budapest, Sarajevo, Belgrade, Zagreb. Additionally, location on entrance of EU offer possibilities of logistic centre for Eastern Europe and improt logistic center for EU. In order to transport 12000t of goods it takes 500 trucks with 24t loads which makes a queue of 7km.